Connecticut has its own specific laws for disabled drivers. The following are some guidelines that will help you understand whether you are eligible for a disabled driver placard or license plate in the state of Connecticut. How can I apply for a disability permit in Connecticut? You will need to complete the Special Permit Application and Impairment Certificate Form B-225. You must have a medical professional certify on the application that you suffer from a disability that impairs your mobility. These medical professionals may include a physician or physician’s assistant, an advance practice registered nurse (APRN), or an ophthalmologist or optometrist. By fax to (860) 263-5556. In person at a Connecticut DMV office. Temporary placard applications may be submitted by mail to the address above, or in person at a Connecticut DMV office. Where am I allowed to park once I receive my placard and/or license plate? How do I know if I qualify for a placard and/or license plate? There are a few criteria for determining whether you are eligible for a disability placard and/or license plate in the state of Connecticut. If you suffer from one or more of the following, you should visit your physician, and have him or her verify that you suffer from these conditions. If you cannot walk 150-200 feet without needing to rest. If you require portable oxygen. If you suffer from blindness. If your mobility is restricted due to lung disease. If you suffer from a cardiac condition classified by the American Heart Association as a Class III or Class IV. If you have lost the use of both hands. If a neurological, arthritic, or orthopedic condition severely limits your movement. What is the cost of a placard or license plate? Permanent placards are free, while temporary placards are five dollars. For license plates, registration fees and standard taxes apply. Please note that you will be issued only one parking placard. How can I renew my placard and/or license plate? 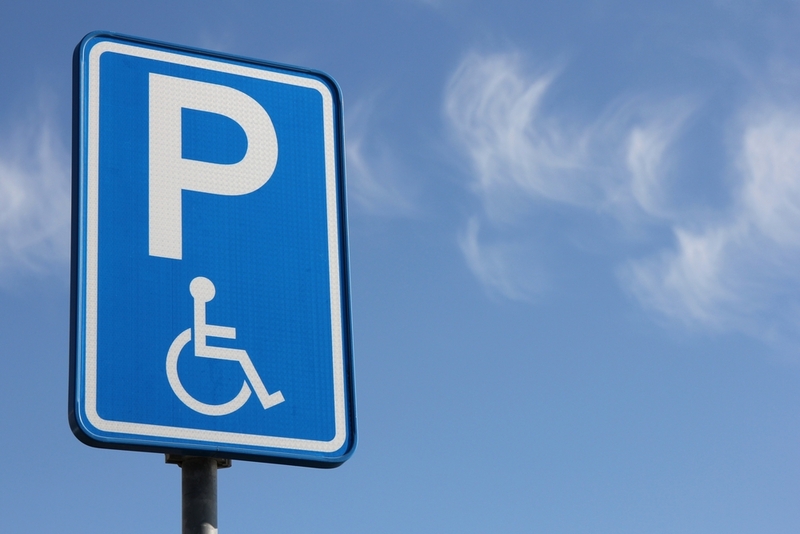 A temporary disabled placard will expire after six months. You must apply for a new placard after this six-month period has passed. Your permanent disability placard expires when your driver’s license expires. Generally, these remain valid for a period of six years. After six years, you must reapply using the original form you used when first applying for a disabled driver license plate. How do I correctly display my parking placard? Placards must be hung on the front side of the rearview mirror. You must be sure that a law enforcement officer is able to see the placard if he or she needs to. What if I am from out of state and I am only visiting or driving through Connecticut? If you already possess a disability placard or license plate from another state, you do not need to obtain a new one from the Connecticut DMV. However, you must follow Connecticut’s guidelines while you are within the state boundaries. Anytime you travel, make sure to check that state’s rules and regulations for disabled drivers. Connecticut also offers a driver training program for drivers with disabilities. You are eligible for this program if you are eligible to receive a placard and/or a license plate. If you are interested in participating in the program, contact the BRS Driver Training Program for Persons with Disabilities (DTP) at 1-800-537-2549 and have your name placed on the waiting list. Next, contact the DMV Driver Services Division at (860) 263-5723 to obtain your required medical clearance. While this training program was once offered through the Connecticut DMV, now it is offered through the Department of Social Services Bureau of Rehabilitation Services. If you misuse your placard and/or license plate, or allow someone else to misuse them, the Connecticut Department of Motor Vehicles reserves the right to revoke your placard and/or plates or deny your renewal. Different states set different guidelines for obtaining a disabled driver placard and/or license plate. By reviewing the guidelines above, you will understand if you qualify as a disabled driver in the state of Connecticut.